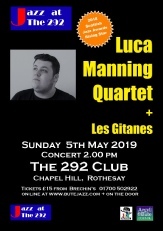 One of the longest running Festivals in the jazz calendar, the Isle of Bute Jazz Festival has been held annually over the May Day Bank holiday since 1988 when it welcomed hundreds of jazz fans to our wee isle in the Firth of Clyde. The Festival is taking a break in 2019. We plan to reintroduce jazz as part of the artistic offerings centred on Rothesay Pavilion when it re-opens late in 2019. 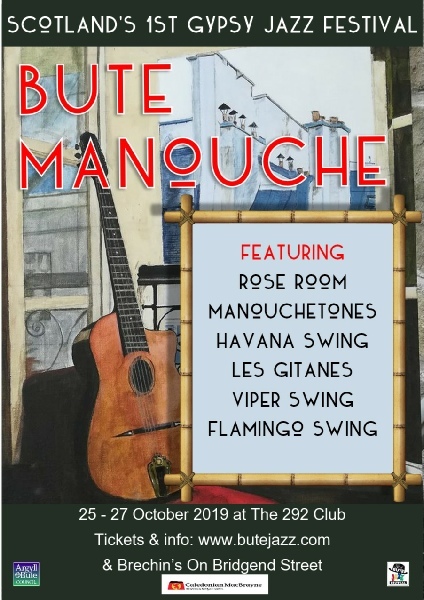 Meanwhile we are running Bute Manouche from 25-27 October 2019, which will be Scotland’s first Gypsy Jazz Festival. Bute lies approximately 35 miles west of Glasgow and is accessed via a regular 35 minute ferry crossing from Wemyss Bay which is easily reached by rail, with an hourly service from Glasgow Central station or by bus and car using the comprehensive road network in central Scotland.